In its latest newsletter the Australian Uranium Association said it’s about time Australia aimed to be the world’s top uranium producer, pointing to a raft of policy changes required to meet the target. 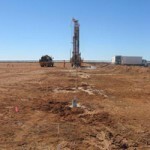 The association says a political commitment to becoming number one combined with the completion of a policy framework are two key issues in increasing the production of uranium in Australia. “We can do it if we set our sights on becoming number one and if we address some of the remaining economic and policy issues that have impeded our rise in the uranium league tables,” the AUA said. It says the policy requirements needed to meet the goal of becoming a top producer are the same policy requirements for the resource industry as a whole, not for the first time calling on uranium to be treated just like any other commodity. 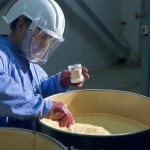 “Becoming the world’s largest uranium producer is the next obvious goal in the normalisation of the uranium industry. It is only waiting for someone to say so,” the association said. Other policy needs it sees as important in boosting Australia’s uranium production potential include increases in competitiveness through productivity improvement, more efficient environmental assessments and approvals and addressing Australia’s high capital costs. Australia has the world’s largest endowment of uranium, with 33 per cent of the world's recoverable resources. 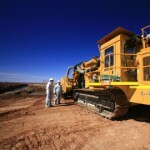 In 2012, production from Australian mines rose more than 17 per cent to top 8000 tonnes. However, the level is below the period between 2003 and 2009 when it was 9000 to 11,000 tonnes. The AUA predicts that if the uranium industry was able to reach its full potential, exports would increase from 9,000 tonnes a year to 28, 500 tonnes a year. This would equate to between a $14.2 billion to $17.4 billion net value to the Australian GDP. Currently the mining of uranium is only allowed in the Northern Territory, South Australia and more recently in Western Australia with the association stating that “chequered policy settings” and a lack of a “national political consensus” has hampered its wide-scale production. The association says that while political impediments remain they will continue to give rise to uncertainty, keeping the industry from reaching its full potential. It points to policy approaches in both Canada and Kazakhstan, the world’s top uranium producers, as a pathway Australia can replicate to increase uranium production. They say Kazakhstan is an example of how national goals to increase production can pave the way to become a top developer and exporter. Earlier this year AUA chief executive Michael Angwin said the local industry has been politically choked by fear. "I think there has been a political fear there will be a public backlash party if there is any support for the uranium industry," Angwin said. Australian Mining recently talked to Vanessa Guthrie, managing director of Toro Energy who said nuclear energy was still largely misunderstood in Australia and this led to misinformation and fear. “The nuclear fuel cycle is not well understood because we don’t have nuclear power in Australia and uranium itself and its properties are not well understood so it’s easy to create fear when there is not good information out there,” she stated. Guthrie pointed to BHP’s Olympic Dam mine in South Australia and ERA’s Ranger mine in the Northern Territory as examples of how attitudes around the sector are changing as the companies get on with the business of producing uranium without incident. However the industry still faces a hostile response from activists who claim the uranium industry is dangerous and an unnecessary response to world energy needs. Australian Conservation Foundation spokesman Dave Sweeney has previously told Australian Mining that the uranium industry is one of ‘headlines and heartaches’ and says the foundation is committed to ‘highlighting the costs and consequences (of uranium mining) both here and overseas”. “It is highly contested and controversial,” he said.